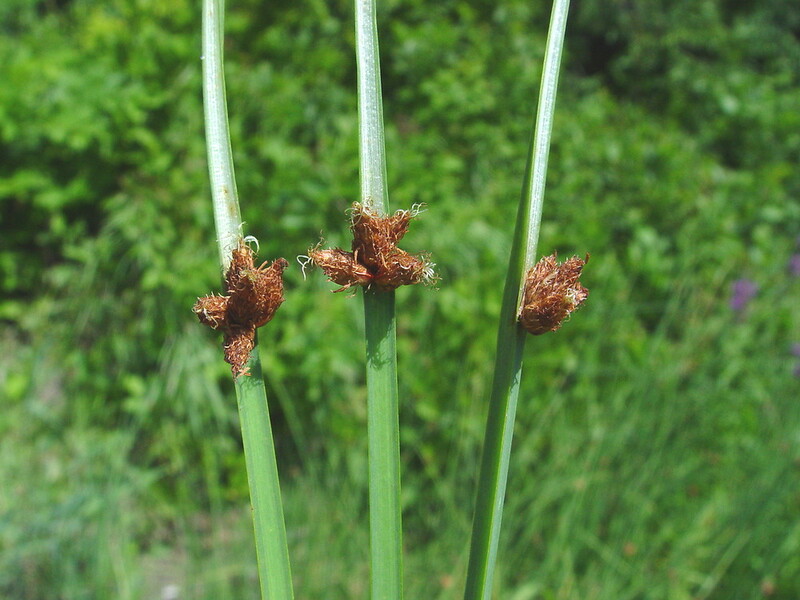 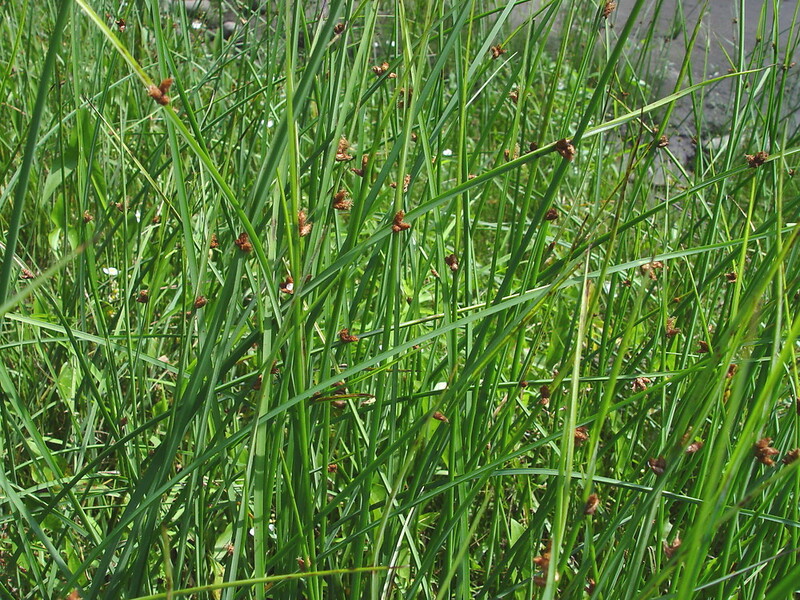 Torrey's bulrush inhabits shallow water sites in lakes, rivers and marshes throughout New England. 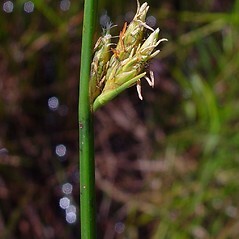 inflorescence open, with elongate branches, with 3–20 pedicellate spikelets, floral scales 5–7 mm long, and style beak 0.7–2 mm long (vs. S. torreyi, with the inflorescence congested, lacking elongate branches, usually with 1–4 spikelets, floral scales 4–5 mm long, and style beak 0.5–1 mm long). 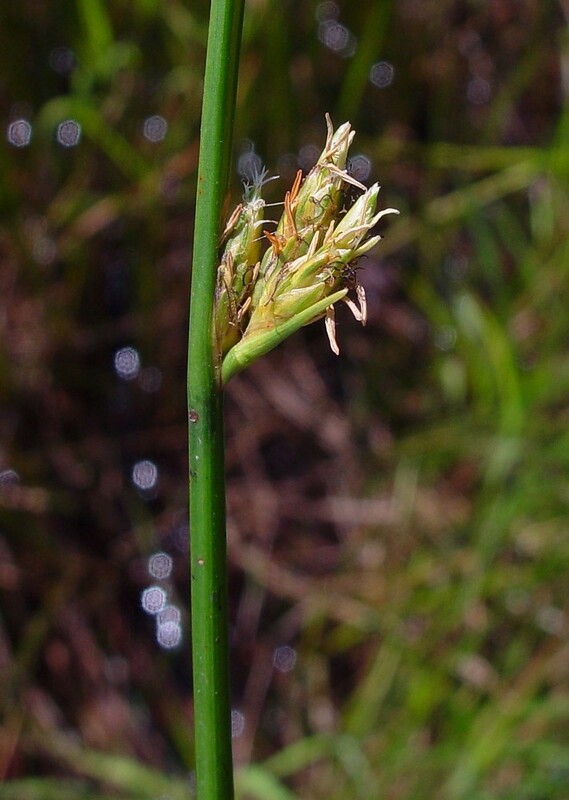 Torrey’s bulrush. 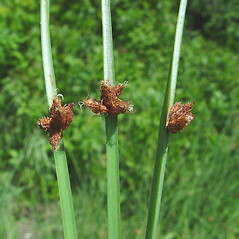 Scirpus torreyi Olney • CT, MA, ME, NH, RI, VT. 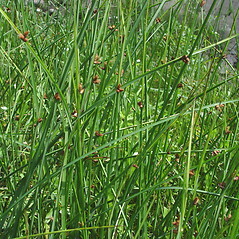 Shallow water of lakes, rivers, and marshes.